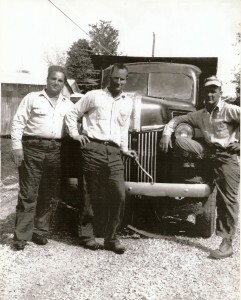 Kass Bros. History - Kass Bros, Inc. 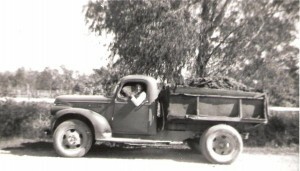 Originally started as a dump truck company hauling sand, the company was founded in the late 1940s by the Kass brothers Calvin, Frances and Eldridge. Over the next two decades, the company grew, adding experienced employees and a fleet of dump trucks and heavy equipment. The company performed land clearing, grading, excavation work, hauled site fill and even cut grass on vacant lots. The company was eventually incorporated by Calvin and Frances Kass in 1969. In 1975, Frances retired from the business and sold his interest to Calvin. His wife Mamie joined him in the business and helped run the office. Kass acquired sand pits in the early 1980s and the company supplied sand to many major commercial and residential developments on the west bank, as well as to small residential customers and other major contractors throughout the area. Over the next three decades, the company continued to grow and expand its services to include concrete paving (curb, gutter, sidewalk, roadway and other flatwork) and underground utility installation (drainage, water and sewer). The second generation became involved in the company in 1990s— Calvin and Mamie’s youngest daughter, Jean, took over as president in 2002. Kass Bros Inc. is truly a family-owned company and has been majority woman-owned since 2000. The company currently employs a qualified team of experienced project managers, estimators and superintendents, all with over 20 years experience in the industry. Kass Bros Inc. has earned a reputation of providing quality work in a safe, timely and professional manner. © 2019 Kass Bros, Inc.